Nothing conjures up Autumn in my mind quite like blackberries. 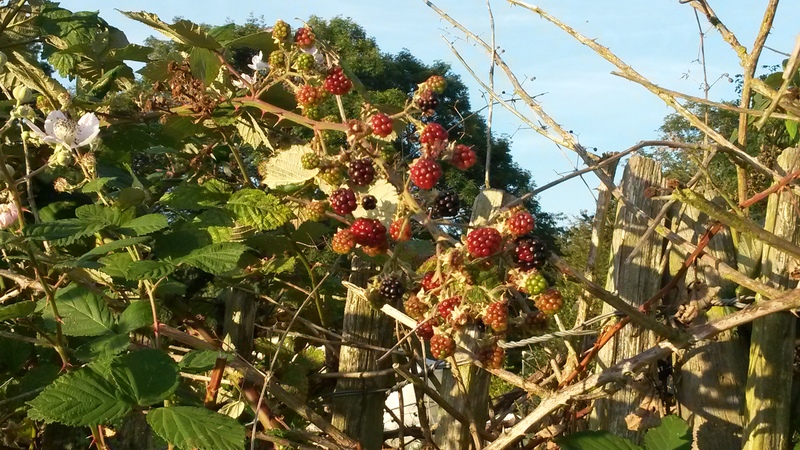 Although the blackberry season actually starts in August and continues until October, I always associate the fruit with September, when the hedgerows are thickly laden with them, along with hips and haws and other jewel-like bounty. Long before we took on our allotment, in fact, long before I became remotely interested in gardening, I would always have an urge for blackberry-picking come Autumn. Maybe it was my long suppressed hunter-gatherer instincts coming to the fore; the one occasion when I could let Neanderthal Sophie loose in the great outdoors, foraging for wild food. 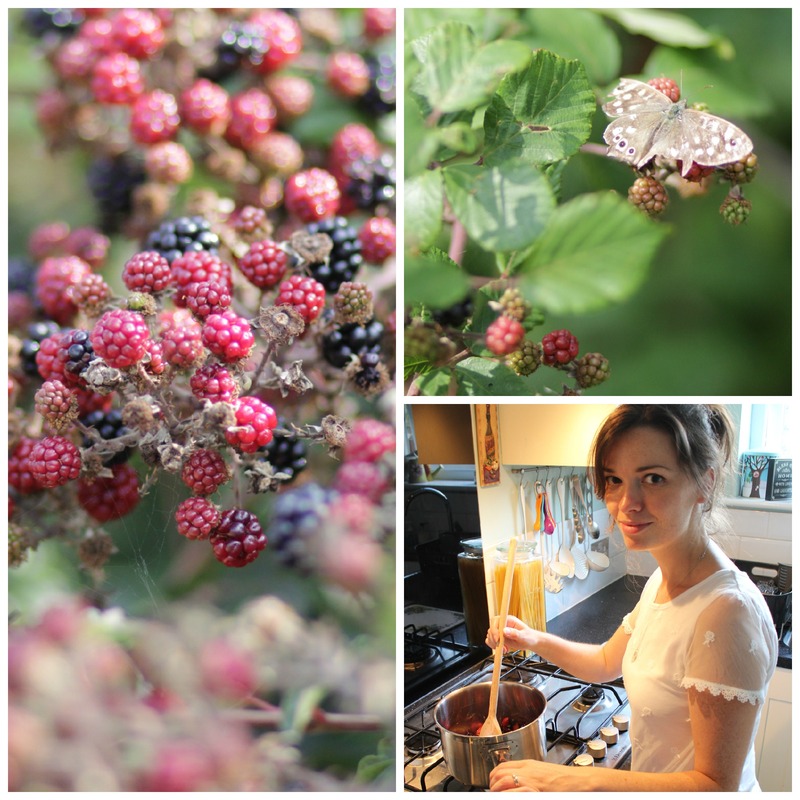 In the five years we’ve been living here on the outskirts of London, I have made an annual pilgrimage to the fields near our home, in search of blackberries. The hedgerows are always full of them, and I’m continually amazed that more people don’t pick them. It’s not like foraging for mushrooms where you need to have a specialist understanding of where to find them, what’s edible and what’s poisonous. Blackberries are safe, and they’re all over the place! I took a quick trip up to the fields the other day, and armed with an empty ice-cream tub, I picked about 500g of the beauties. This would have cost me a few quid in the supermarket and they wouldn’t have had nearly as much flavour. 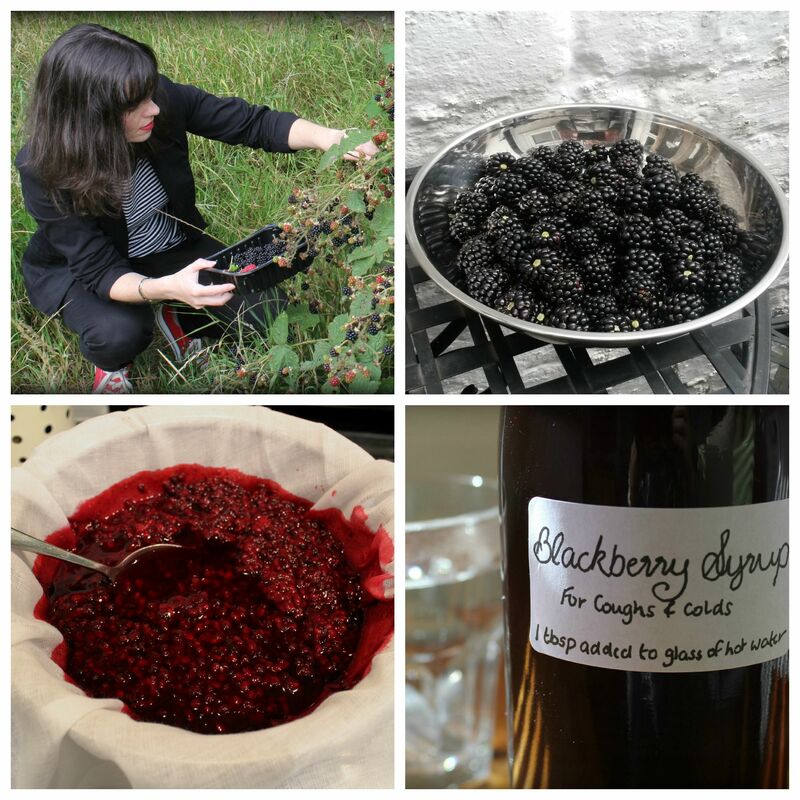 I usually bake them into Blackberry & Coconut Squares, a super-easy and delicious recipe which I discovered a few years back, and I also keep a bowlful in the fridge for sprinkling into yoghurt or stirring into hot porridge with honey. But this year, I teamed them with some Bramley apples my neighbour gave me, and made jam, using an old Beryl Wood recipe. 1) Make sure you’re not trespassing on private land! 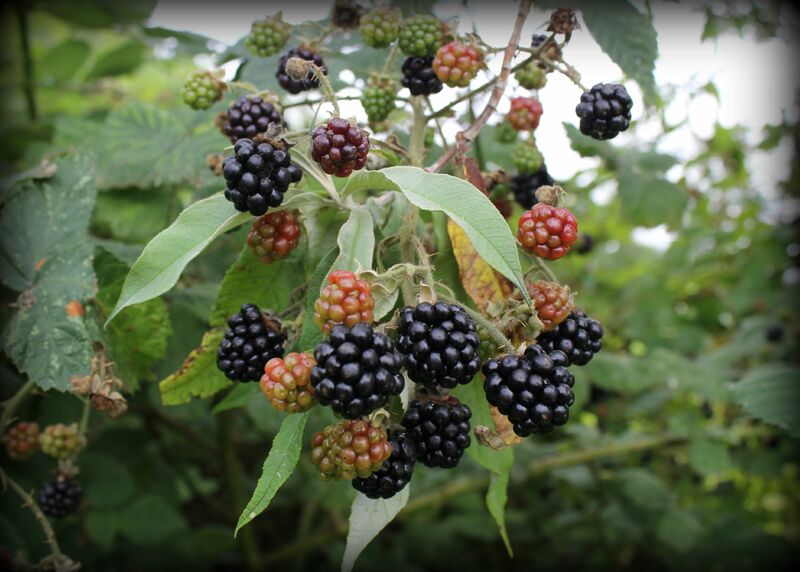 2) Avoid picking blackberries near busy roads (exhaust fumes do them no favours) or close to the ground (animals may have urinated on them). 3) Don’t stack the berries too highly on one another when picking; the ones at the bottom will bruise and turn squashy. 4) Don’t deplete the hedgerows entirely, leave some for the birds and other animals. 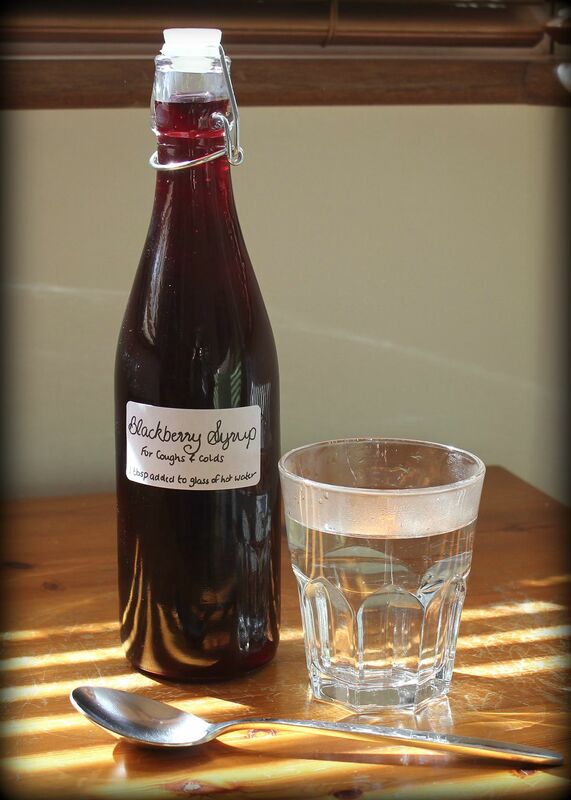 5) Give the blackberries a good soak when you get home. I usually steep mine for an hour in salted water which dislodges all the beasties, before giving them a good rinse. In my experience, this has never diminished the flavour of the blackberries but is incredibly effective in evicting any unwanted tenants!